New Listing: 2360 Bossert Avenue, Brocklehurst, Kamloops, BC $434,900 - Real Estate Blog - CENTURY 21 Desert Hills Realty (2010) Ltd.
New Listing: 2360 Bossert Avenue, Brocklehurst, Kamloops, BC $434,900. 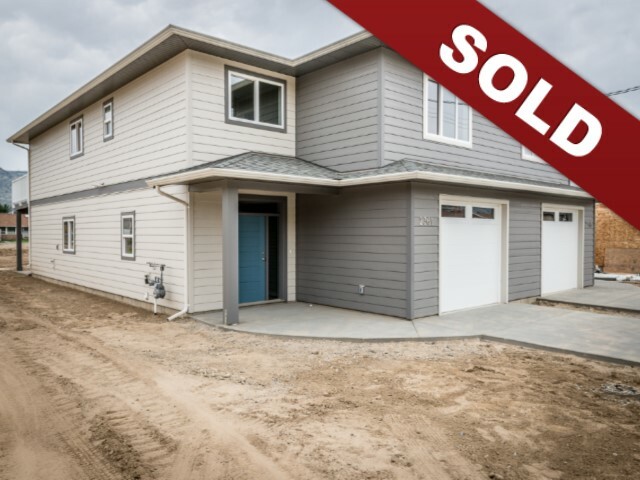 Beautiful, brand new half duplex style home on a quiet street in a prime Brock location. This home features a great room open floor plan with vaulted ceilings in the main living space. There are 3 bedrooms on the main floor with a main 4 piece bathroom and 3 piece ensuite. The master bedroom also has a large walk in closet. This home features a large entry way with laundry off of the main entry. The basement area is unfinished and ready for your ideas. There are rough in-s for a wet bar or finish with an additional bedroom, bathroom and family room. The basement level walks out to the large flat yard. From the main floor there is a patio off of the living room space that overlooks the large yard. Good sized single car garage and lots of parking. Located steps from Brock Rec Centre, Parkcrest Elementary school and transportation. Easy access to shopping and more. Kitchen appliances included and GST applies.